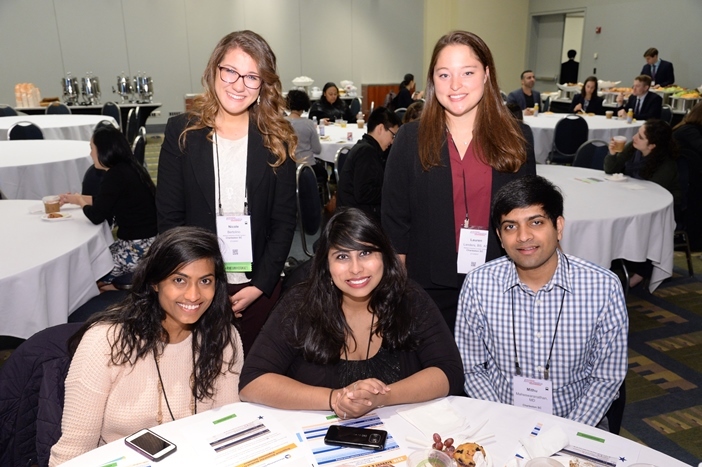 Nicole Bertolino, OTS and her colleagues at the Foundation's 2016 Student and Resident Experience, which helps to recruit medical students into the field of rheumatology. ATLANTA – The Main Residency Match is when medical school graduates find out where they will be placed for their residency program and it is happening this Friday, March 17th. One organization isn’t willing to let the chips fall where they may, the Rheumatology Research Foundation is taking an active approach to recruit medical students into the field of rheumatology. Arthritis and other musculoskeletal problems are the number one cause of disability in America. 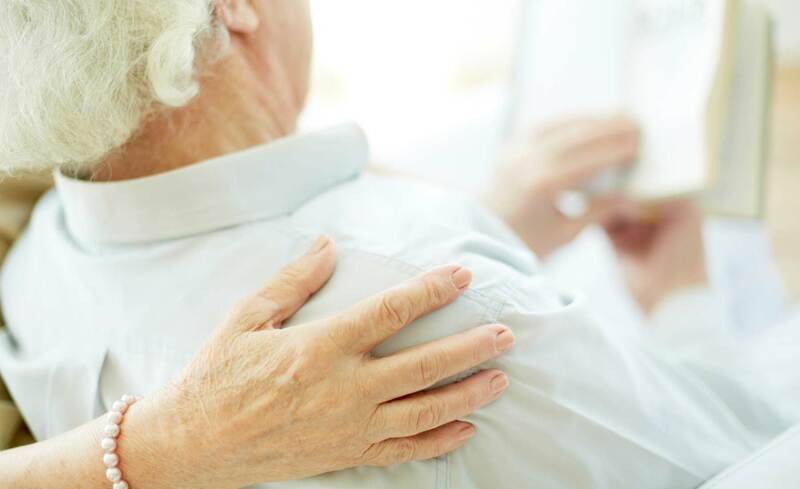 The latest figures regarding arthritis and other rheumatic diseases show that they led to $127.8 billion in medical costs in the U.S., nearly a quarter more than the $104 billion in costs for cancer care. “The shortage of doctors, especially rheumatologists, is a concern that drastically impacts the lives of people diagnosed with rheumatic disease. Many patients must wait months to see a rheumatologist, which prolongs treatment and has a negative impact on their health. Not to mention the impact that missed days at work and the cost of disability insurance has on the economy,” said Mary Wheatley, IOM, CAE, the Foundation’s executive director. Some regions of the U.S. face significant shortages in rheumatologists and rheumatology health professionals. Many of the scholarships and research grants provided by the Foundation are designated for those living or studying in areas of the U.S. underserved by rheumatology professionals. Rheumatology patient Nancy Collins Gilepsy shared, “It is very hard to get an appointment at my rheumatologist’s practice; they are so busy. I've heard of people waiting a year to get a new patient appointment. If the rheumatologist says he wants to see you back in eight weeks you're lucky if they can schedule you back in by 12 weeks. Also, my rheumatologist is of retirement age. I’m not sure where I'll go when he retires." The Rheumatology Research Foundation is aggressively recruiting the next generation of rheumatology professionals in order to address the decline of specialists trained to treat a growing population of patients with rheumatic disease. A recent study conducted by the American College of Rheumatology (ACR) found that nearly a quarter of the population will be diagnosed with arthritis by 2030. At the same time, the baby-boomer generation of rheumatologists is expected to retire. In order to offset these disparities the Foundation is introducing a new generation to rheumatology by providing scholarships so medical students can attend the annual meeting of their professional organization, the ACR. Some medical schools are only able to provide a few weeks of study into the field of rheumatology, if any at all, so preceptorships and visiting professorships funded by the Foundation have played a key role in recruiting students to the field. Educators of rheumatology health professionals say that the opportunities keep students and residents interested in rheumatology. Faye Hant, DO, MSCR, is the director of the rheumatology training program at the Medical University of South Carolina (MUSC). In the past five years, 18 MUSC students and residents have received preceptorships from the Foundation. “Students have very little exposure to rheumatology in medical school. Preceptorships allow them to actually see what rheumatologists do every day and get a taste for the types of patients we serve. By fostering that interest in rheumatology, we are increasing the workforce,” Dr. Hant said. Nicole Bertolino, OTS, was one of 34 students and residents who received a Foundation scholarship to attend the 2016 ACR/ARHP Annual Meeting in Washington, D.C. She is pursuing a Master’s of Science degree in Occupational Therapy at the Medical University of South Carolina, says that the experience encouraged her to expand her knowledge of rheumatology. “I came away from the meeting inspired, curious, and motivated. I learned more about the patient populations covered within the rheumatology field, and left with a greater personal interest in furthering my own understanding of rheumatic conditions, especially as I hope to serve geriatric clients in the future,” Bertolino said.